Orange TT15JR Sig. 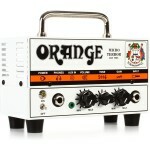 Jim Root 15W Tube amplifier is the amplifier used by the notable guitarist ..
A 15-watt class-A all-tube mini head complete with padded gig bag, all at a great price. 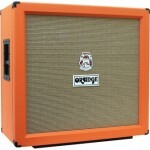 &nbs..
A 15-watt class-A all-tube combo with a Celestion speaker. 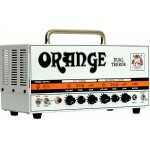 The already legendary Tiny Ter..
A variety of tones from classic rock to scooped metal with all variations in between. 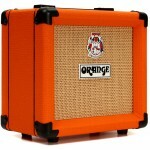 ..
Class A tube combo with a Celestion Vintage 30 speaker and tons of attitude! The TH30 Combo.. 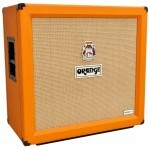 The highest wattage, highest gain (yet still the cleanest) Orange yet. 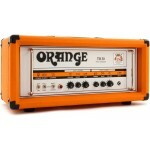 The Orange TH100H tube gui.. 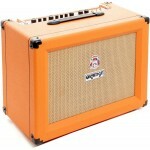 Rugged Orange cabinet, housing 4 Celestion Vintage 30 speakers, built to stand up to the rigors of t.. 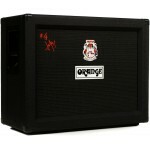 Developed alongside Jim Root, this cab is true to his tone. 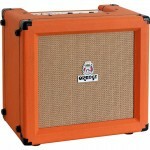 The Orange Amplification Signatur..
A perfect match for the Orange Micro Terror. 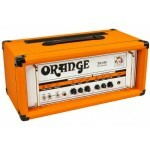 The new Orange Amplification PPC108 1x8 cab is i..
Orange Amplifiers Micro Terror MT20 20W Hybrid Guitar Amp Head Orange Amplification la.. 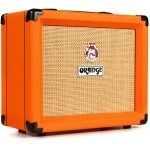 Cool 3-watt 'Micro Crush' combo with built in tuner for a great price. 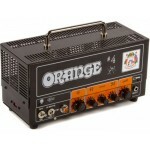 The Orange Micro Crush PiX..
Switch between 30, 15, and 7 watts in this class-A dual-channel amplifier head, with 3-stage gain se..
A tiny tube amp that produces a huge variety of tones. 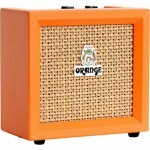 Menacingly small, easily recognisable, thi..
Big Orange sound to rock your practice space. 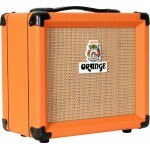 The twin-channel Orange Crush 20 20W guitar combo t.. 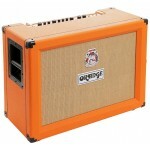 The Orange Crush CR60C is a 60W solid-state combo made from 18mm ply and loaded with a single 12″ 60..
A 120W analog, solid-state, two channel amp that's at home at rehearsal and on stage. 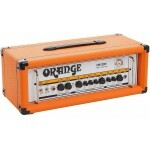 The Orange .. 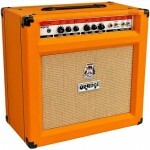 The Orange Crush CR120C is a 120W solid-state combo made from 18mm ply and loaded with two 12″ 60W, ..
Tour-ready Cab with Custom Speakers With epic tonality and tour-ready ruggedness, the Orange Cr..
Killer Orange tone that's perfect for practice. 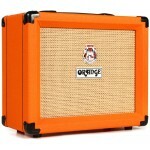 The first thing you notice about Orange Cru..
Classic Orange looks and tone, with reverb and a tuner built in. The Orange Crush 20RT 20W guitar..